It's Christmastime and Alec and his friends are off to the country for a spooky visit! When relatives of Alec's best friend Ken Gonzalez begin experiencing ghostly happenings and things that go bump in the night, they call asking for help. After Alec and his friends arrive with Ken's mom and Mrs. Edgar, they find supernatural intruders who were not invited to the party. Settle in with a cozy blanket and some hot cocoa for this haunted short story. Alec Kerley and the Haunted Christmas is a middle grade Christian horror story. It is legitimately scary and a great read for all ages -- middle graders, teens, and adults. Parental guidance is suggested. 12,000 words, 8 chapters. 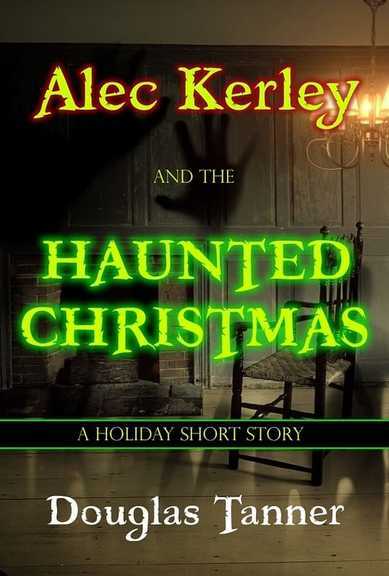 Alec Kerley and the Haunted Christmas is a stand-alone short story. Be sure to check out the Alec Kerley book series, which includes the titles Alec Kerley and the Terror of Bigfoot (Book One), Alec Kerley and the Wrath of the Vampire (Book Two), and Alec Kerley and the Roar of the Dinosaur (Book Three). Alec Kerley and the Haunted Christmas Book Trailer HD from Douglas Tanner on Vimeo.